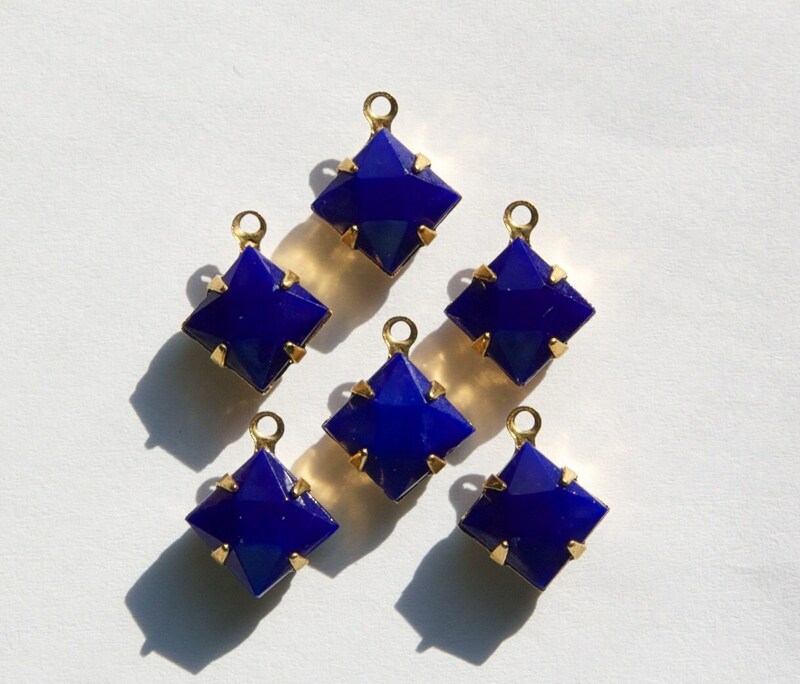 These are vintage opaque blue square stones set in a one loop brass setting. These measure 8mm square. You will receive 6 pieces. Lovely items as usual! Thanks for the fast shipping! all of these rhinestones are spectacular! you have the most beautiful vintage stock & its always a pleasure to shop with you, thankyou!